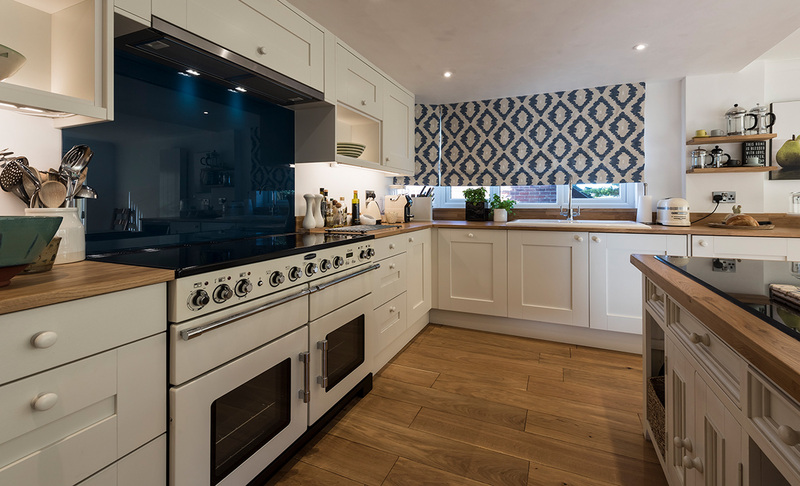 The clients wanted a country feel to their new kitchen. 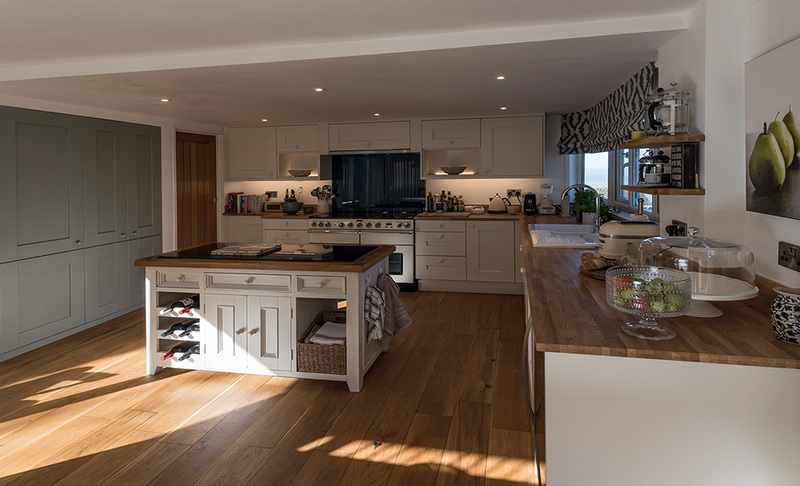 David and Myra had been clients of Portishead Kitchens in 2014 - when they moved house in 2017, they requested their expertise once again. 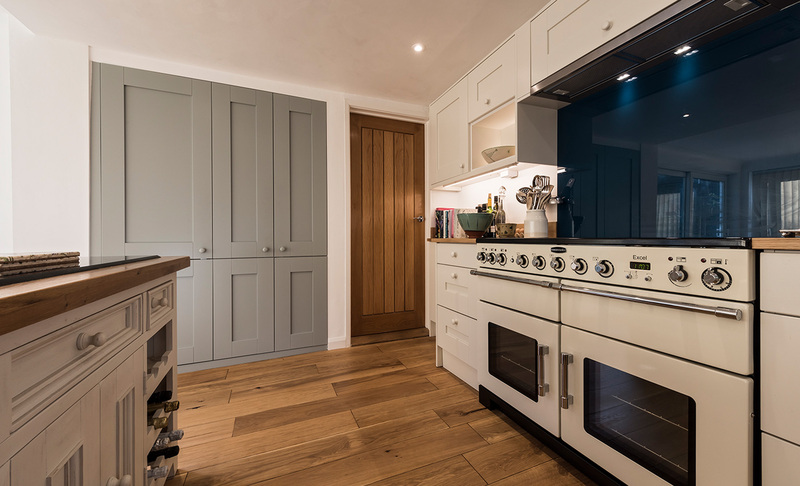 The couple decided on the Windsor Shaker range in a combination of Light Blue for the larder and Porcelain. Such a homely feel was achieved whilst adding modern touches to this beautiful room.